Per Sparrevik will present the historical background, environmental and geotechnical conditions faced by the Norwegian Coastal Administration undertaking challenging remediation work to protect the marine environment from the toxic legacy of U-864, a German submarine sunk by the British Navy off the west coast of Norway near the end of the Second World War. As the sloping seabed at the wreck site is unstable, the first step was to install a large counter fill to prevent sliding of the heavily contaminated sediments. 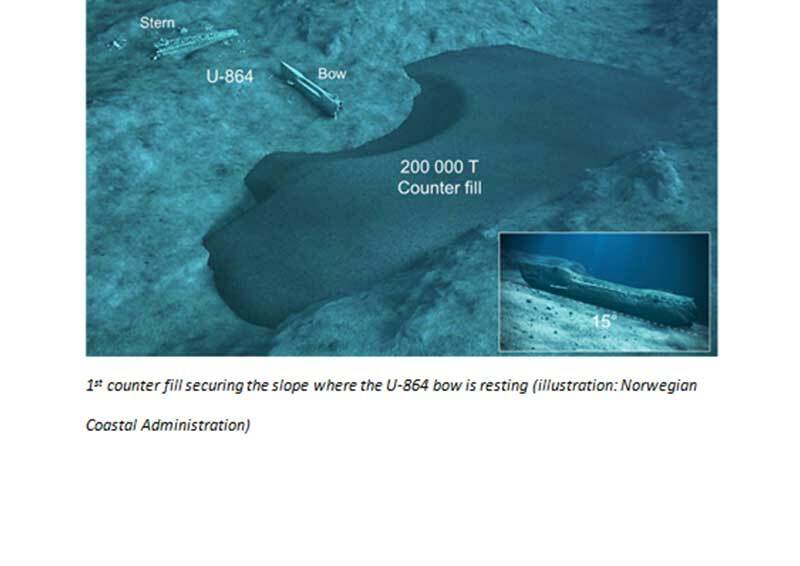 The large counter fill was successfully installed in June 2016 at the foot of the unstable slope where the wreck is resting. A rigorous monitoring program of both environmental and geotechnical parameters indicated that no further spreading of contaminated sediments occurred during the construction of the counter fill. Initial piezometer readings show that the build-up of excess pore pressures beneath the counter fill during construction match the predictions very well. The ongoing autonomous recordings of pore pressure and settlement data are vital to verify the rate of consolidation and determine when the slope is sufficient stable to allow for further counter filling and final capping of the wreck and contaminated sediments. Please join us afterwards in the ICE Café Bar for drinks sponsored by AECOM and Arup.